GoPatch Motion Sickness is the drug free, natural, homeopathic solution to relieve symptoms of nausea and dizziness associated with or aggravated by motion. * Simply place this discreet, round patch over your navel to stimulate your body’s natural healing response to relieve symptoms. 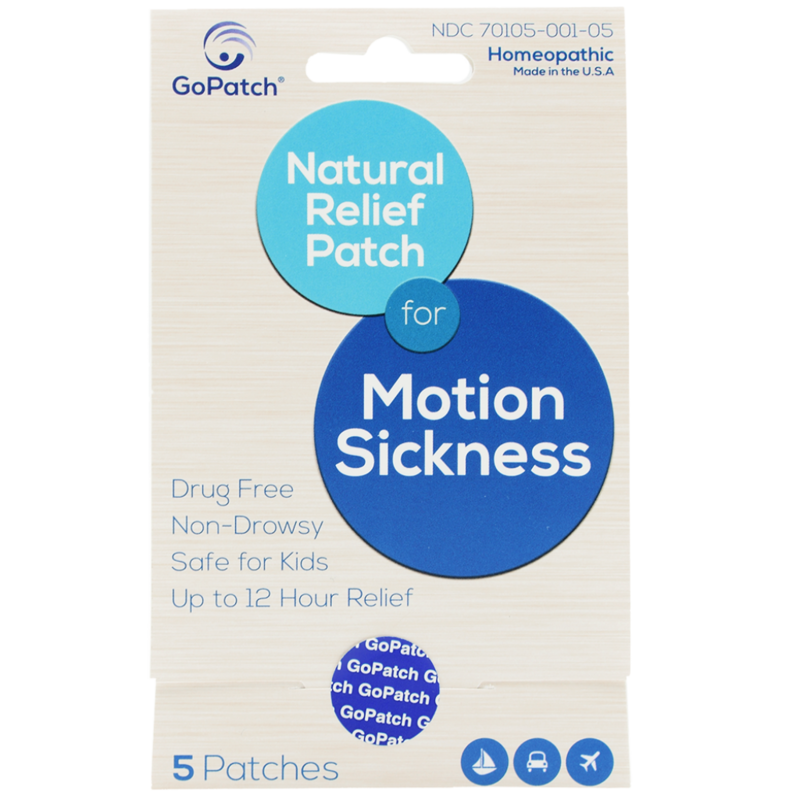 GoPatch Motion Sickness Patch is the drug free homeopathic solution to naturally relieve symptoms of nausea and dizziness associated with or aggravated by motion. * Whether you suffer from seasickness, airsickness or carsickness, GoPatch helps to relieve them fast. Our all natural remedy is safe for all ages, including children. 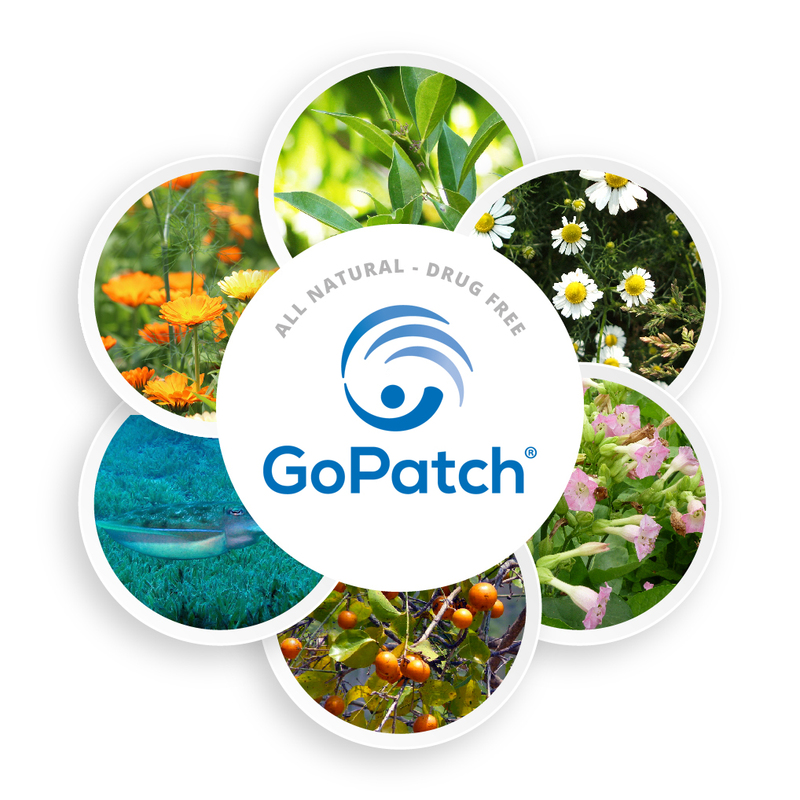 Best of all, GoPatch is perfectly safe to use while taking other medications. In addition to providing fast relief for motion sickness, it can be used to relieve medication induced nausea as well as nausea from chemotherapy. GoPatch can be used for a variety of conditions such as vertigo, anxiety as well as general nausea. 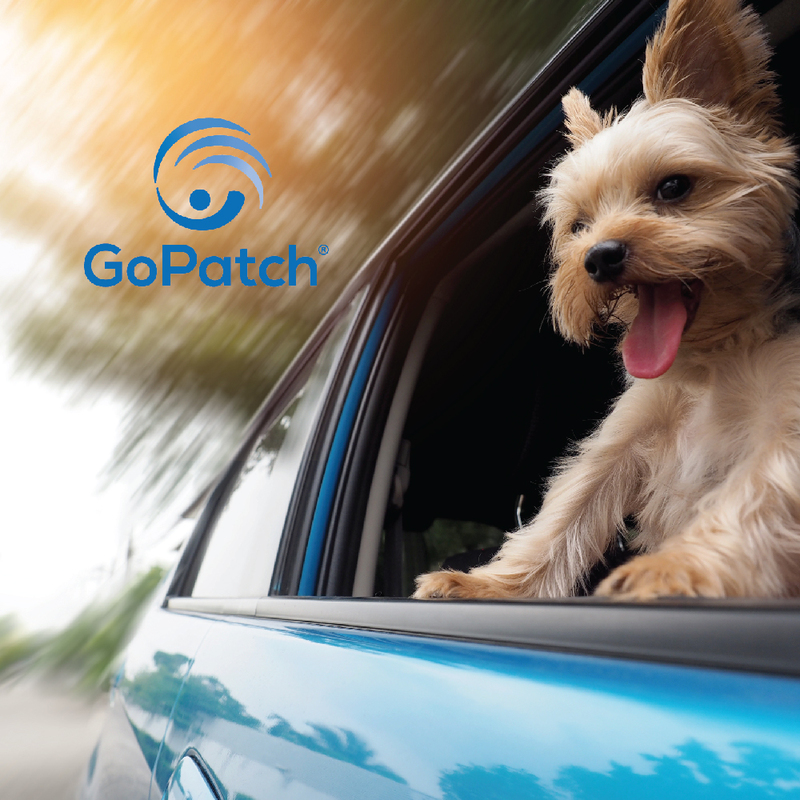 Additionally, GoPatch is so safe it even helps relieve motion sickness in dogs! 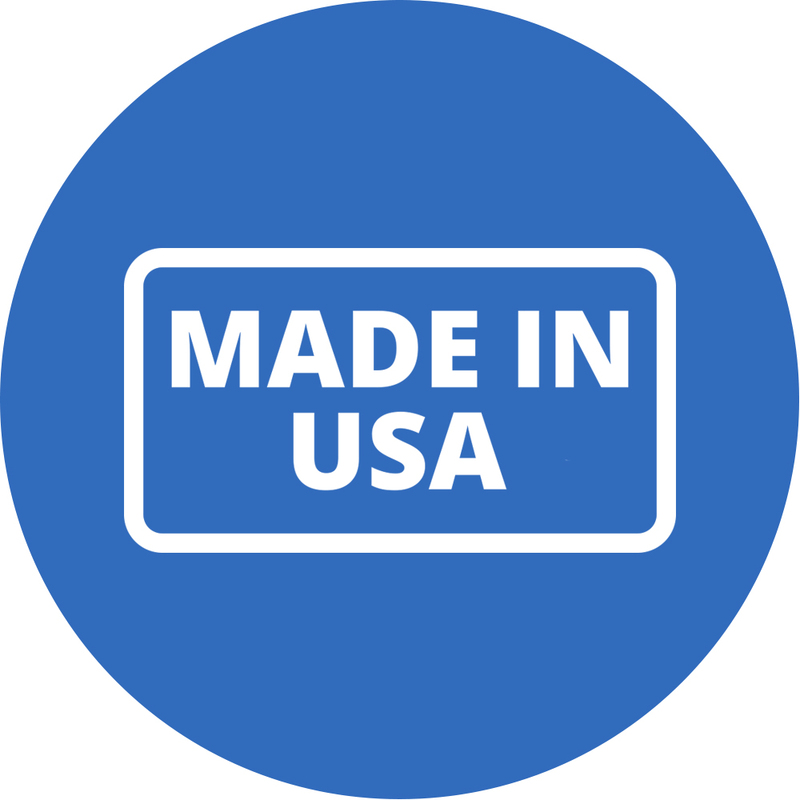 GoPatch is made in the USA in an OTC licensed facility, and is registered with the FDA. You can feel safe and confident when you use our product. Our ingredients are a proprietary blend of mineral and plant based substances. When applied over the navel, a common acupuncture point, it starts to work in under 15 minutes. Apply GoPatch and stop feeling nauseous fast! When do I Apply GoPatch? For the best results apply GoPatch just before engaging in activities which produce motion sickness. GoPatch can also be used after motion sickness has already started and will relieve your symptoms fast. 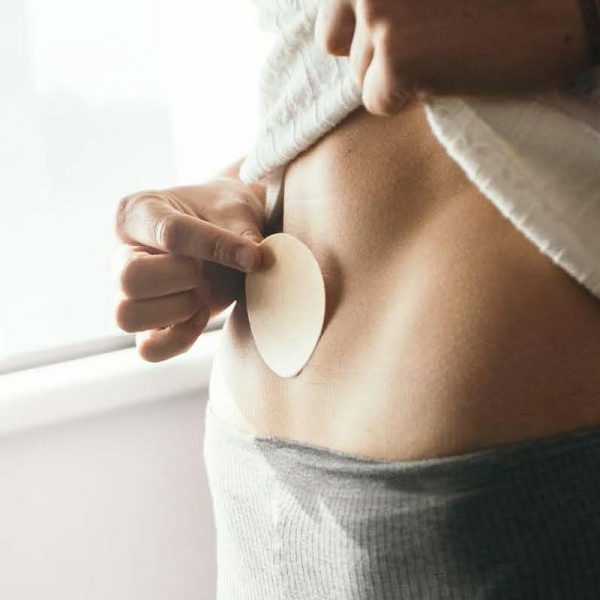 Simply place this discreet, round patch over your navel to stimulate your body’s natural healing response to relieve symptoms. When removing GoPatch, we recommend doing so in the shower. Just peel it back onto itself, as opposed to ripping it off. 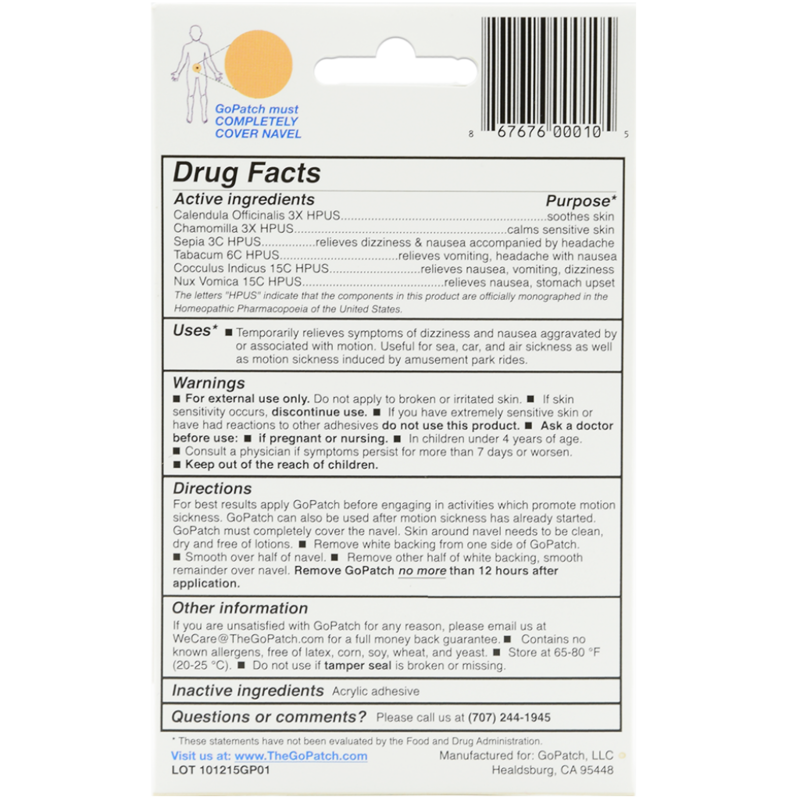 “This patch is so easy to use and there are no scary drug interactions or side effects. I felt no anxiety about using it on my young son. And the amazing thing is it last for hours….no motion sickness or nausea so we are able to enjoy our vacations and travels without hesitation. We will never go back to the pills or bracelets. GoPatch is now our go too for motion sickness or nausea!!! Find out for yourself why hundreds of people around the world are raving about this drug free homeopathic remedy to nausea. Try GoPatch today with our worry free money back guarantee. You’ll see why many women have given 5 star reviews about this product. Lightweight, discreet and easy to use – GoPatch is for you! Provides relief for car sick pets too! GoPatch can be used even after symptoms have started for fast acting relief. Homeopathic remedies are OTC pharmaceutical drugs and manufactured in OTC licensed facility. GoPatch products are registered with the FDA and have an NDC code. If you experience digestive imbalances, be it irritable bowel disorder, frequent diarrhea or digestive cramping, GoPatch will be a natural alternative that brings you drug free relief. 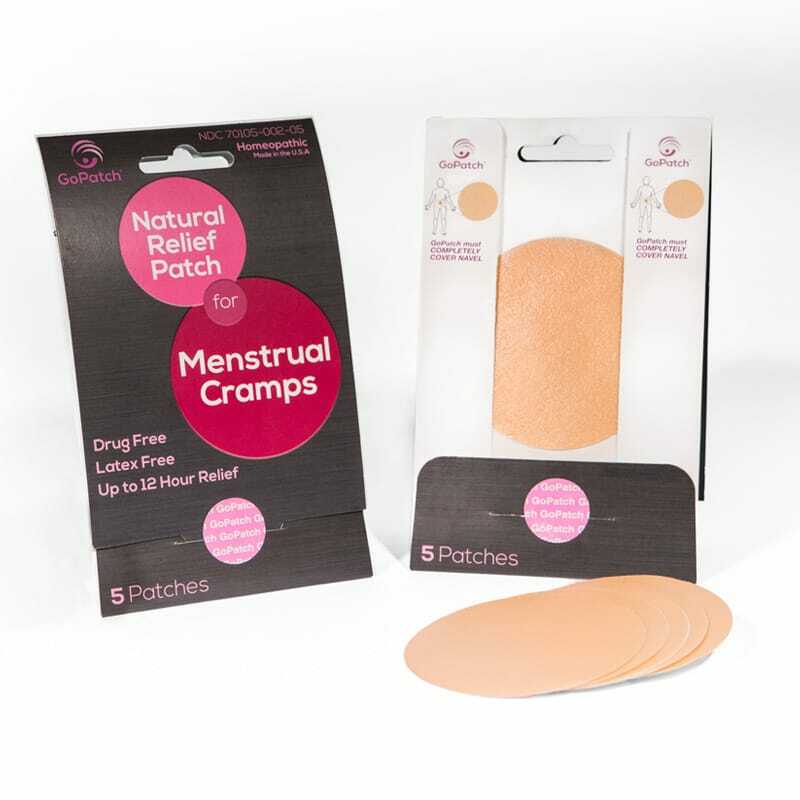 Our patch is discreet and works gently to help ease your symptoms. Do you suffer from Hangovers? Well no more – GoPatch relieves hangovers. The phrase “Best cure for hangovers” is certainly one of the most searched phrases on the internet, especially on the weekends. Search no more – not only does GoPatch relieve nausea associated with motion sickness, it also is a fast and effective way to treat hangovers. Just apply GoPatch before going to bed to relieve that queasy sensation on waking. The hangover relief GoPatch provides is most effective when applied before going to bed. Do you have a cruise booked in your future? You’ll find that GoPatch is the best relief for seasickness around! Many of the suggested and most popular medications for seasickness leave you drowsy and not able to enjoy your vacation. Make sure to pack GoPatch before going on a cruise. They are lightweight, discreet and easy to pack. Does GoPatch really work on Dogs? While GoPatch was originally developed for humans, we have found out that it really does work on dogs that get motion sickness. Dog owners tried it and found it was successful. They just put the patch on their pets belly before leaving. Best of all, now dog owners can take their buddies with them on their outings in the car or on a boat. Amazingly, the pets seem to know that it helps them, and they don’t lick the patch or try to remove it. Just make sure that if your dog has long hair to trim the area before putting the patch on, you want to make sure that it touches the skin to be effective. “I was so excited to find out GoPatch worked on dogs, Red is now able to travel without sickness or side effects. A trip to the ranch is now enjoyable for my two legged and four legged friends! Happy Guests, Happy Dog, Happy Customer! Thank you GoPatch! The most common symptoms of motion sickness are nausea and vomiting, headaches, cold sweats and dizziness. These can certainly ruin any travel that you may have planned, such as a trip via a plane or a cruise ship. If you’re susceptible to motion sickness, then you are even more likely to suffer air sickness and sea sickness. There are many old wives tales of all natural remedies, such as ginger, peppermint aromatherapy, as well as acupuncture and controlled breathing. But do these work? For some people possibly. But for most that suffer from these ailments they want a quick solution, either before sickness starts or relief from the symptoms after they’ve started. The best way to avoid the symptoms of motion, air or sea sickness before they start is by applying a GoPatch patch an hour before the activity. If you forget to apply the patch beforehand and start to feel nauseous, just apply. Within 15 minutes you’ll start to feel better. What relieves motion sickness fast? Unlike over the counter and prescription medications on the market, GoPatch relieves motion sickness fast. It is the only drug free and side effect free formula on the market today. You won’t feel drowsy or have dry mouth while the patch is being used, so you can enjoy whatever you’re doing. How do motion sickness patches work? GoPatch is a transdermal patch (a patch you put on your skin). 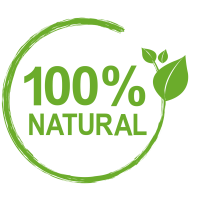 Our proprietary blend of all natural ingredients is absorbed through the skin and into the blood vessels and then into the bloodstream. The patch is best placed over the navel where our all natural ingredients can permeate your skin and start to work fast. There are no known side effects when you take GoPatch. 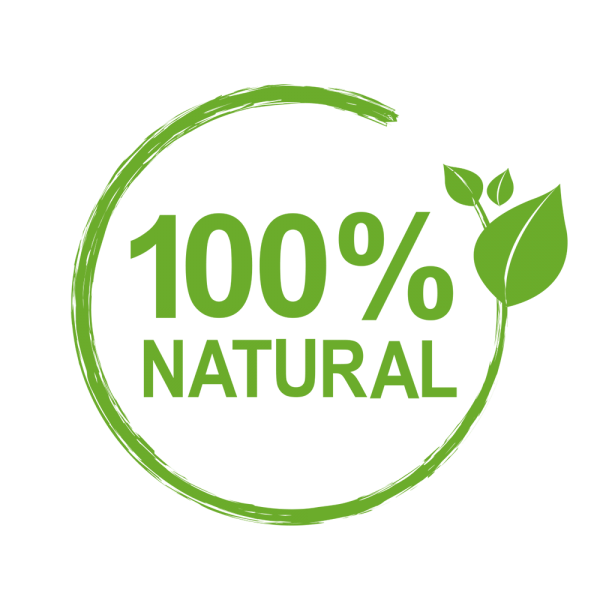 We use only all natural homeopathic ingredients so you can feel safe using our product. Our product is the best all natural, over the counter relief for motion sickness, seasickness and airsickness on the market today. Is GoPatch a “miracle drug”? No, GoPatch is not a “miracle drug”, in fact it’s not made with drugs at all. It’s a patented formula of homeopathic ingredients that helps to heal your body without harsh medications and no side effects. It stops you from feeling nauseous fast, whether from motion sickness or hangovers. Lightweight, discreet and easy to use – GoPatch Nausea and Motion Sickness is for you! I own a ranch in a remote area of the Rocky Mountains. This means a long, windy, rugged ride to get there. My guests frequently became carsick, until I discovered GoPatch. This product works great and allows my guest to enjoy the scenic ride without getting sick or being drowsy. My favorite guest to bring to my ranch is my 120 pound hound dog Baby Red. Sadly, Baby Red get very sick whenever he is in a vehicle, this made trips to the ranch really hard. I was so excited to find out GoPatch worked on dogs, Red is now able to travel without sickness or side effects. A trip to the ranch is now enjoyable for my two legged and four legged friends! Happy Guests, Happy Dog, Happy Customer! Thank you GoPatch! I have suffered from vertigo for many years and I have always taken medication that made me drowsy for days. It also didn’t relieve my symptoms. The GoPatch has been a miracle cure for my vertigo and there are ZERO side effects from it. When I feel it coming on, I put the patch on my skin and I can go about my day, within an hour! This is an exceptional and very affordable product – Try it! This was a life saver when we had to move. Our one dog gets car sick and the go patch solved that problem. Thank you! I am a professional sailor and own the largest sailing school in North America. I am familiar with all the different remedies for seasickness. Drugs, Devises and Natural herbs like Ginger. On a recent windy and rough sail on San Francisco Bay I had two passengers become seasick.Normally when a person has begun to feel sick nothing helps – all remedies usually need to be taken before going aboard. BUT – In this case I invited both people – one man & one woman to apply GoPatch over their navels as directed.Both of them began to feel better within 15 – 20 minutes and then were able to continue sailing through the day. I’m quite impressed. I will always have GoPatch in my sea bag. I gave Go Patch to 2 friends last night and it worked for both of them, plus me. One quickly and completely. The other needed to go outside for a few minutes to look at the horizon, and then she was better for the rest of the trip. That friend has NEVER been able to stay inside on a boat, definite success. Thanks from all of us. My aunt is going through chemo, suffering miserably with nausea and a laundry list of other problems from all the drugs. So grateful for GoPatch! She can’t handle any more medication. This has no drugs and no disgusting side effects like everything else she has to take. One patch gives her 24 hours of relief, for 6 bucks! Amazing product. I’ve lived on a sailboat for 28 years. Through the years when we take friends sailing I would always treat them to lunch. Preparing lunch in the galley always left me sea sick and unable to eat. The Go Patch proved to be a miracle! I didn’t get sick and was able to ENJOY lunch along with our guests for the first time in many years. I use GoPatch for nausea – flu or upset stomach and it is amazing. I bought this product for my friend who is having chemo treatments. She does get drugs with the chemo treatments to help with nausea but she was still experiencing some nausea. After applying GoPatch her nausea went away and she felt like eating. She kept telling me “this is the most I have recently eaten”. Thank you GoPatch for helping my friend. I own a private, customized wine tour company in Sonoma County, Healdsburg Vino Tours (check us out!). If any of you have been to Northern California you know that the views amongst the vines are epic, and the roads to get there, WINDY as heck! I have clients almost daily that have issues with car sickness, and have LOVED being introduced to GoPatch. I was so happy to discover GoPatch has no side effects! Now my clients don’t get drowsy like when they use Dramamine and all that other chemical junk. They can actually enjoy the views and the wine, without the use of medications. My clients who already took dramamine regret not knowing about GoPatch before hand because they are to drugged up to enjoy the day wine tasting-what a waste of a vacation. Now for the HANGOVERS. My clients are out to relax and explore, to enjoy all the beauty and delicious wines Healdsburg and Sonoma County have to offer. Who hasn’t overindulged from time to time? GoPatch has kept my car free of the “side-effects of a hangover” and my clients love me for it. I love GoPatch for that 🙂 GoPatch, you never fail to impress me, thanks! I recently had an emergency surgery to remove my appendix. The surgery went well but the combination of anesthesia and antibiotics left me nauseous and unable to keep food down. My mom suggested I try GoPatch, my surgeon looked over the package and said it wouldn’t hurt anything to try it. Within thirty minutes of using GoPatch (I was not able to put it over my navel due to my incision, I wore it on the left side of my stomach) I ate my first meal post surgery, and felt better than I had in days. Thanks GoPatch for a safe and easy way to stop vomiting. As a member of the United States Coast Guard, I spend half of the year out to sea patrolling the open ocean. While underway, I used to suffer from moderate to severe ‘sea sickness’ depending on the how rough the seas were. There is no worse feeling than being sea sick and unable to function, let alone perform grueling tasks in extreme conditions. After having little to no results with different remedies including: motion sickness pills and meclizine HCL patches, I tried GoPatch. The results have been great! Since using GoPatch, I no longer get sea sick. The nausea is gone! In addition, unlike other motion sickness remedies, I have not experienced any negative side effects with GoPatch. 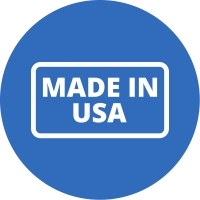 This patch is easy to use and extremely effective. I call it the MIRACLE patch. I don’t leave land without them. The safety of the crew, as well as other mariners, depends on each crew member performing at 100%. GoPatch has allowed me to be back on top, nausea free, and always ready. Semper Paratus! Recently I had mouth surgery for which I was prescribed pain medication. As usual after taking pain medication for a few days I started to experience discomfort from nausea. A friend suggested that I try a GoPatch. As soon as I attached GoPatch the nausea went away and didn’t return. It was amazing! Because I suffer from motion sickness the patch also helped to make my cruise to the Caribbean last December that much more enjoyable and without the usual side effects of over-the-counter motion sickness pills. I hope to never be without a GoPatch. I am a hiker and I love to bring my Husky, Jack, with me. Jack loves the hike but can’t get through the trip without throwing up. I’m always having to hold back food and water and it just never seems fair because he still usually gets sick. My neighbor uses GoPatch for her motion sickness so I thought it couldn’t hurt to try. Don’t get me wrong, it was a pain in the as* to figure out how to apply it, actually had to cut hair off his stomach. WORTH IT!!! Jack just lays down, no drool, no puke and doesn’t even bite at his paws. I seriously am amazed the this product. I’ve been sailing for 33 years and still get seasick for the first 2-3 days on an ocean voyage. On my most recent trip, after getting seasick I applied the GoPatch and recovered within an hour. I now carry a supply of the GoPatch aboard our Hylas 44 sailing vessel. Don’t leave port without the GoPatch! Thank you GoPatch you have changed my life! My MD who is also trained in integrative medicine recommended I try Go Patch for the nausea that I get when my anxiety kicks in; it is so horrible I am stuck with so much discomfort and nothing works. I have a very sensitive stomach and try everything I can to not put drugs in my system. GoPatch worked so well to calm my nausea and it even calms my anxiety 🙂 I am so happy to have found this product. I love that it is all natural, so awesome. Unbelievable life saver for post holiday party overindulgence. I’m 50 and my days of heavy partying are over, that said I got carried away this weekend. My wife bought these for a sailing trip. She swears by Gopatch since it kept her from puking while heading out of the SF bay, which is brutal, and nothing like dramamine has ever helped. We contacted the company to thank them. They informed us of all the uses, one of which was hangover. I asked them why it isn’t on the web site and apparently a new site is coming. I never leave reviews, however, seriously-HANGOVER was gone!!! Where were you when I was in college Gopatch! My husband, son and I all suffer from different forms of motion sickness. My son gets it the worst in the car and my husband and I get it the worst on planes and boats. Certainly made travel difficult in the past, until we discovered Go Patch! This patch is so easy to use and there are no scary drug interactions or side effects. I felt no anxiety about using it on my young son. And the amazing thing is it last for hours…..no motion sickness or nausea so we are able to enjoy our vacations and travels without hesitation. We will never go back to the pills or bracelets. Go patch is now our go too for motion sickness or nausea!!! I’ve recently had a terrible long lasting case of vertigo and have always suffered from motion sickness. These patches came in the mail about 3 days into my vertigo struggles and they were a huge relief! I’d say within a half hour I could feel a sense of relief from the symptoms I had been having for days. It was incredible!!! I could still tell something was wrong with me, but these patches made it so I could actually drive to see my doctor. They also helped me avoid spending my recovery from vertigo in bed. My doctor approved of my use of the patches. I’m truly grateful and excited to have these patches in my life!! I’m ready for the next cross country drive, flight, boat ride or adventure. My mom has been using GoPatch weekly after chemotherapy; what a lifesaver this product is. Initially she was given pills for the nausea which were a disaster. They gave her so much acid reflux and created so much pain in her weak state it was horrible to watch. She was afraid to try any other medications after that and just went without eating, not good. Before GoPatch motion sickness patches she couldn’t even smell food the day after chemo without throwing up. We couldn’t get her to eat anything for a day, sometimes 2. Now, day after chemo she wakes up and puts on her motion sickness GoPatch and within a few hours is able to start eating!! For those of you who have family members striving to keep up strength and nourishment during chemo…get GoPatch. We thank you for your natural solution when more drugs are the last thing we need to put in my mom’s sensitive system. I wanted to tell you how much my wife and daughter enjoyed using GoPatch on our long and winding drive out to Sea Ranch, CA. They both get motion sickness and GoPatch really helped them on the drive. They didn’t get sick at all! Thank You! The GoPatch is an innovative and effective product which I recommend to patients for motion sickness. It is a great way to get relief with a natural, drug free product. Try it! I tried GoPatch first for a vetrigo flare-up and it worked within 2 minutes! No exaggeration! I have also suffered for years from Generalized Anxiety Disorder which for me causes severe gastrointestinal upset and often keeps me from trying new things or going new places. GoPatch lessened my anxiety and helped decrease the severity of my symptoms. GoPatch gives me significant relief for nausea associated with migraines. It’s the only treatment that I’ve found helpful for this! After suffering from motion sickness my whole life I have found a winner ! I mainly get sick on winding roads and rough weather on our boat. Will definitely keep using the patches as I hate taking tablets that just make you feel sleepy. Thanks for coming up with this wonderful product! My husband used it when he was nauseous, from chemo, to a great success! He has since passed away, but thanks to you, had times of “relief”! The Motion Sickness Patch works! I’ve tried everything, Dramamine, Bonine, ginger chews, Sea Bands, and sniffing newspapers! Some of the products “worked”, BUT I was basically a zombie and useless for the 1st and last day of my vacations since I was so exhausted. My job requires me to travel so I was so tired after taking Dramamine for years and being so affected by sleepiness and exhaustion. So, I heard about this product from my sister-in-law via Instagram. I tried it on bus trips, flights, back of a car, and soon a boat. It works! No nausea, no exhaustion, no issues! I’ve worn it for 12 hours and it is constantly working while it was on. Nicole (the founder) was SUPER accessible and explained how to wear the patch and also how to remove the patch. She cares about her product and really is available when (me) as a consumer had a question. I suffer from motion sickness often. I’ve used other remedies but they always make me sick or tired. I’ve used one box of patches and am amazed how they help my nausea. The few days I din’t use a patch, I felt that nausea in the morning when I rode in the car, but not the days with the patch. I’m very grateful that there is something out there that doesn’t make me tired. Thank you. Q Can I take food while wearing GoPatch patches? Are there any foods I should avoid? While it is not advised to take oral homeopathic medicines with food (especially strong flavors), this is not true for our patches as they are not consumed orally. To date, we have not found that eating or drinking alters the efficacy of GoPatch Motion Sickness patches or GoPatch Menstrual Cramps patches in any way. We do advise that you avoid eating mint, either as tea, gum or candies, as that is known to decrease the action of homeopathics. Q Do GoPatch patches have any side effects? Like other low potency (dosage) homeopathic remedies, GoPatch Motion Sickness and GoPatch Menstrual Cramps patches have no known contraindications or side effects, unlike other nausea medication or remedies for menstrual cramps. As with any bandage that is applied to the skin, there is always a possibility of redness after removal as a very thin layer of skin or hair may be removed. We highly recommend removing your patch in the shower to minimize this possibility. Remove the patch by pulling/rolling it back on itself, not by lifting straight up and pulling off. Q Can I use GoPatch patches while taking other medications? Yes, other medications can be safely taken while using our GoPatch Motion Sickness patch as well as our GoPatch Menstrual Cramp patches, which are both homeopathic. We never advise that you stop any medication prescribed by your doctor if you wish to use our products, please first consult with your physician if choosing GoPatch as a drug free alternative. Q How long should I wear GoPatch patches? 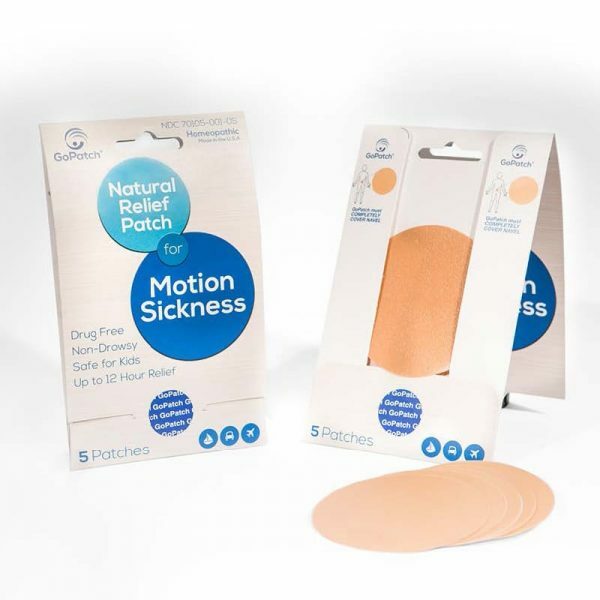 GoPatch Motion Sickness patches, as well as GoPatch Menstrual Cramps patches can be worn for 12 hours. Skin sensitivity varies between individuals, please adjust accordingly if you have extremely sensitive skin. Q How long does it typically take for a GoPatch patch to relieve symptoms, once applied? When ALREADY experiencing the signs of car sickness and sea sickness, individuals report relief within 15-30 minutes of using GoPatch Motion Sickness patch, remember this is AFTER the motion sickness has already started. We recommend applying our patch BEFORE engaging in activities (flying, boating, cruising, amusement park rides, car rides) that may contribute to sea sickness and car sickness symptoms. However if you did not know you had sensitivity to motion, for example, apply as soon as you experience the first signs and natural, safe and fast-acting relief is on its way.